Chorizo is one of my favourite ingredients. It is one of the ingredients that make Filipino food special. We used to buy chorizos in tins, coated with bright orange lard and labelled chorizo de Bilbao (referring to Bilbao, Spain). I wonder if it really originates from Bilbao as we have the propensity to label food with place names even if they don't really connect. I love the fresh uncooked chorizos from Costco. It is rich and well seasoned, as chorizo should. What I like best about it is its texture. When cooked, it is tender, juicy and not too salty. I use chorizo a lot in rice dishes and stews. 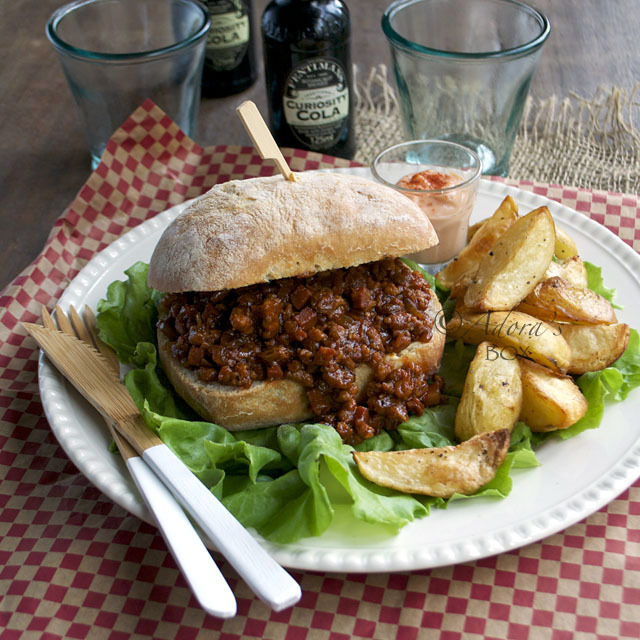 My kids favourite chorizo dish is the sloppy Jose which is my take on sloppy Joe. I took inspiration from that dish to make chorizo burgers. 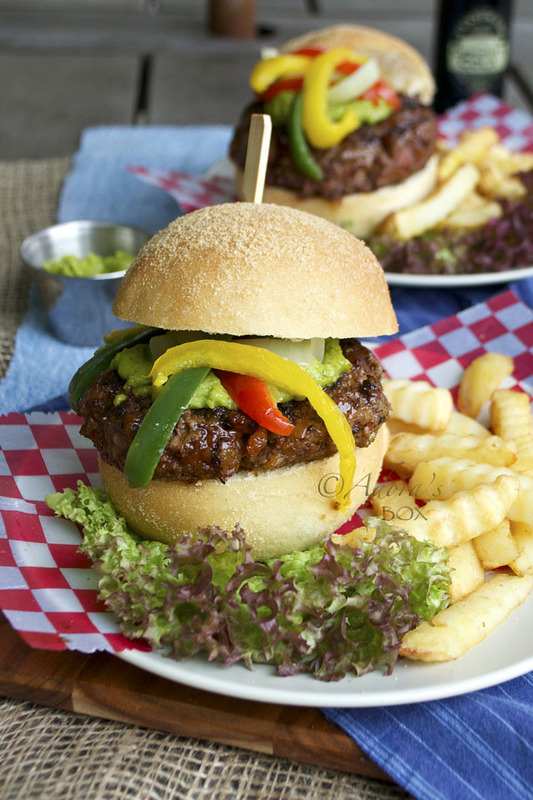 It is not just chopped chorizo thrown into the burger. I sauteed the crumbled chorizo meat with garlic, onions, sultanas and sherry for sweetness, tang and a more balanced flavour. I added an egg as a binder and breadcrumbs to hold the juices in. I like pan frying my burgers briefly on high heat to set the shape before grilling. 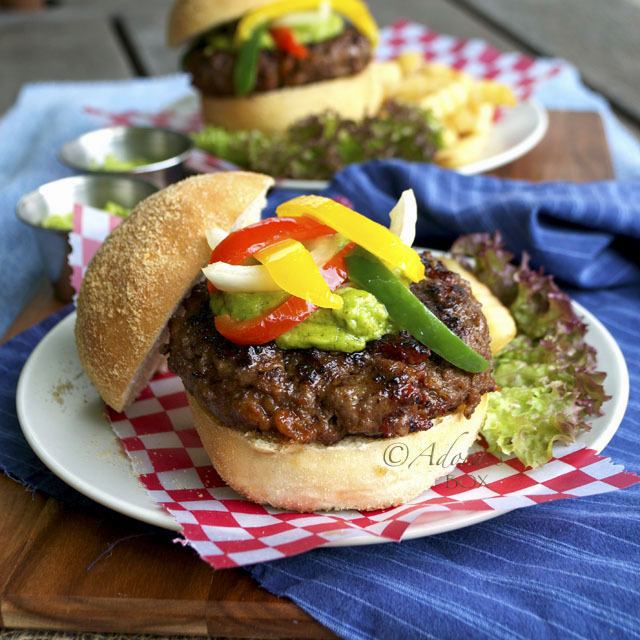 I served them on homemade pan de sal buns (Filipino bread), which has more taste and body. 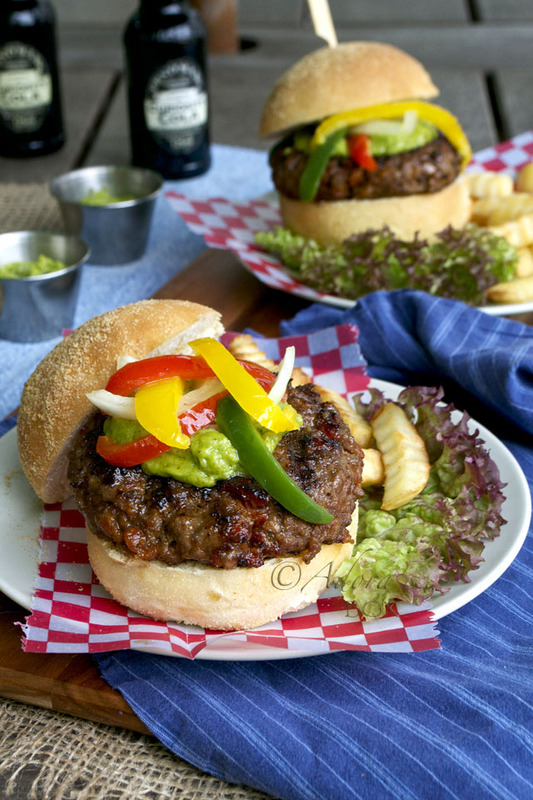 The burgers were topped with avocado mayo (recipe here) and briefly fried onions and mixed peppers. My son had a fried egg on top as well. They tasted really, really good. Ole! This is really up my street, my new fave burger. Maybe it's just me so don't just take my word for it. Try it. Heat up a pan and add the olive oil. Add the garlic and sauté for 2 minutes. Add the onions and salt and sauté until translucent. 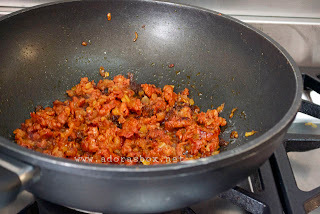 Add the chorizo meat and fry until fat is rendered. Add the sultanas, sherry and about a quarter cup of water. Cover and simmer until the chorizo is tender, about 15 minutes. Take the lid off and let the liquid evaporate. Transfer to a dish (leave the oil behind and discard). Leave to cool. 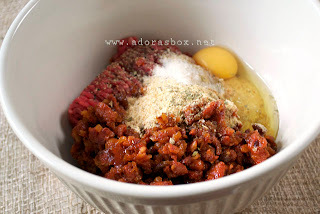 Put the beef, the cooled chorizo mixture and the rest of the ingredients in a a mixing bowl. Blend well using a cutting motion (so the meat won't toughen) with a spoon or spatula. 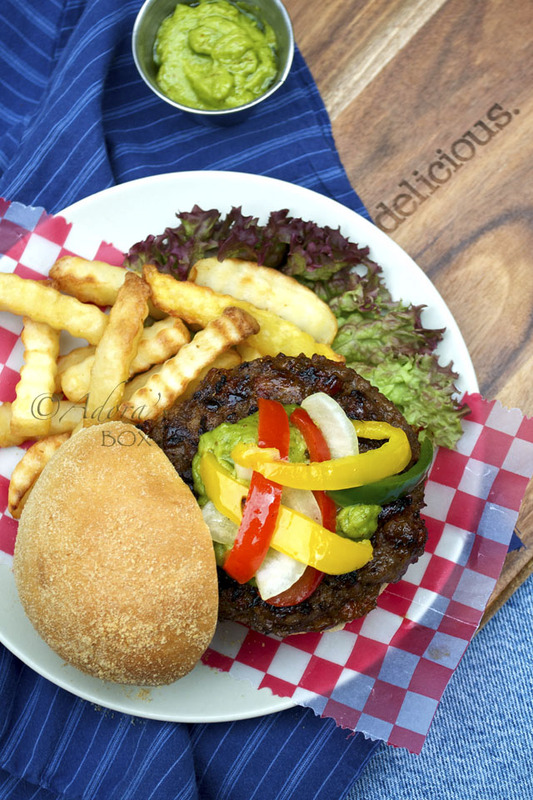 Divide into four portions and shape each into patties. 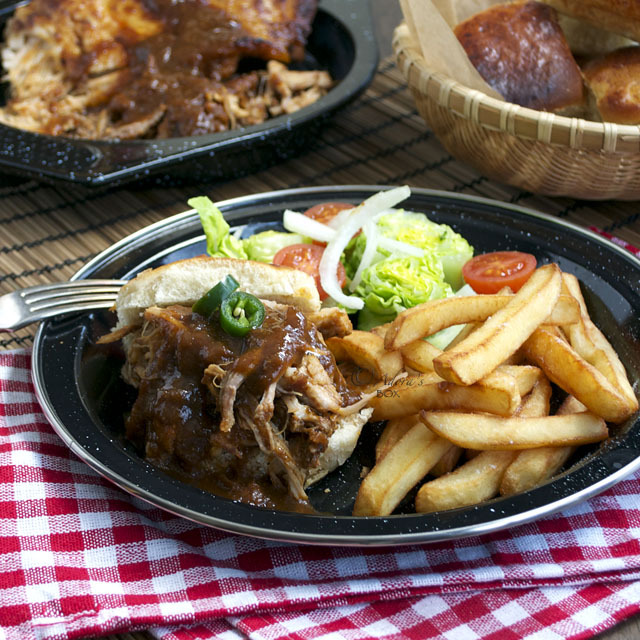 Pan fry, grill or barbecue to desired doneness. 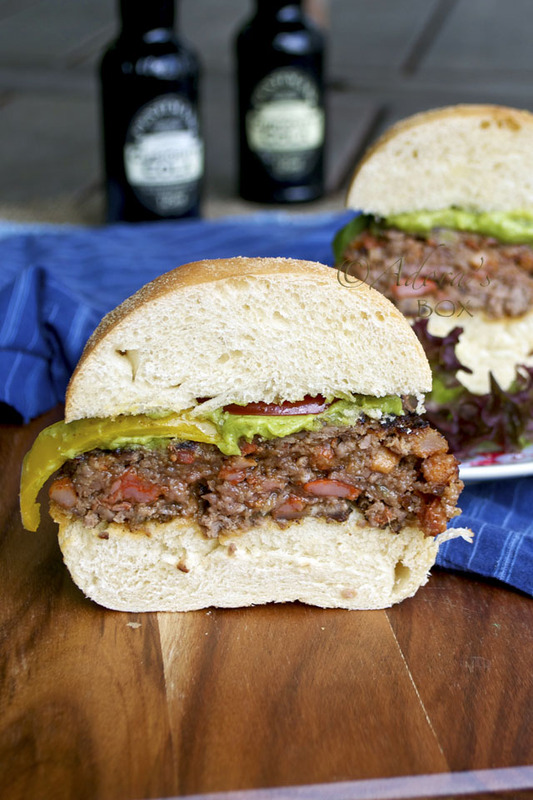 You'll find tips on grilling the perfect burger here. Wow Adora! 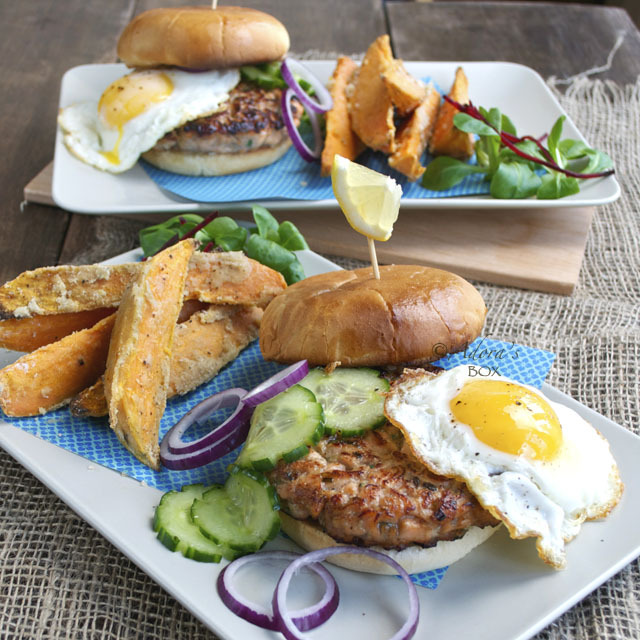 Your chorizo burger looks amazing!! I am following you now, can you follow me too? 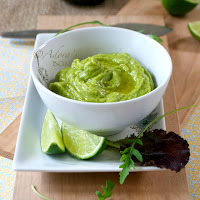 Oh Yes - this is definitely where that avocado mayo can go! 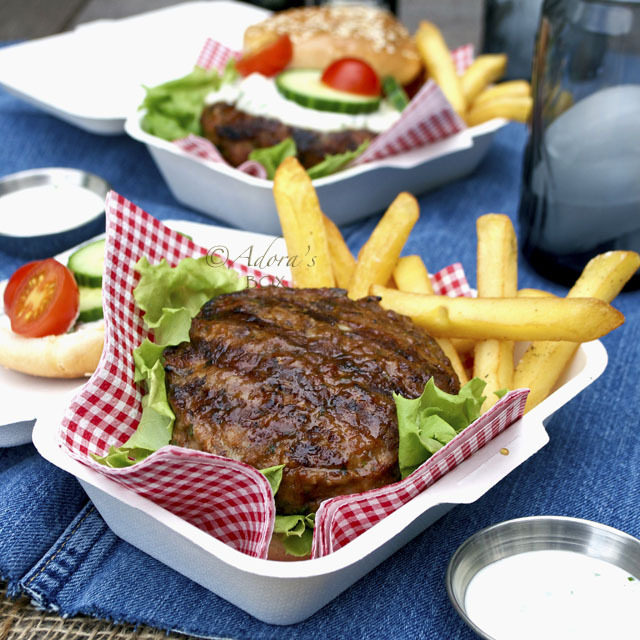 Perfect combination and fabulous burgers! Perfect timing for Memorial Day weekend here in the states. G'day! These do look yum, TRUE! I could go for one of these now too!